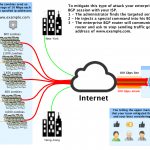 We describe in 5 steps how to protect your business against DDoS attacks of any size. How to prevent and mititgate DDoS part 1? How to install a software without spyware?